Starting a Model A Ford isn't as simple as in a modern automobile and can be a struggle for a novice. This procedure will help the novice. One must recognize that there were variations in even original Model A Fords. 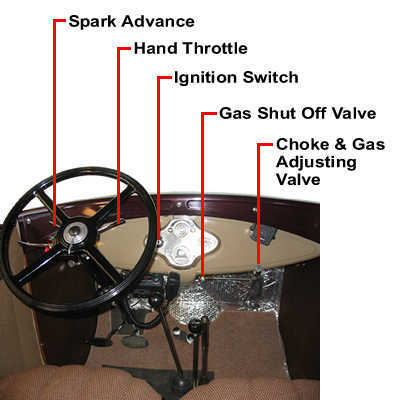 For example, the gas shut off valve was moved from under the dash to under the hood in 1931.